In traveling China, a lot of it can begin to feel monotonous: the same kinds of dramatic mountains, the same preserved traditional villages, the same death-to-architectural-style Soviet-like concrete blocks in the cities. 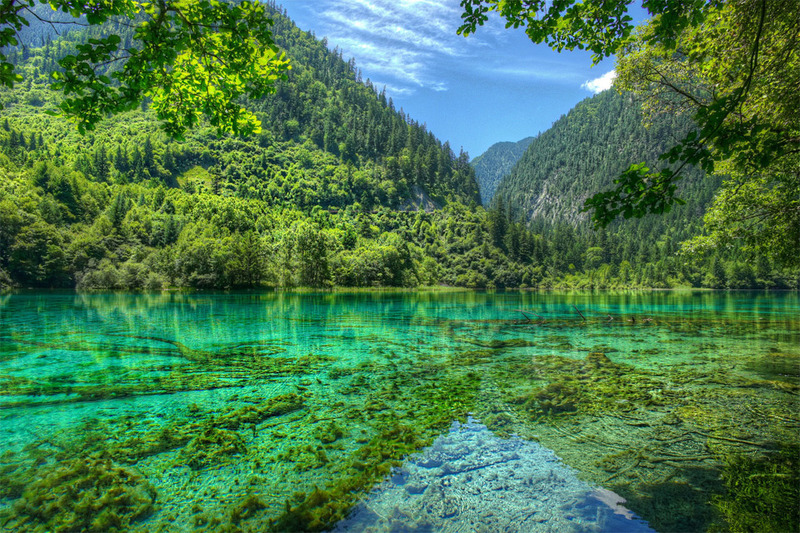 Jiuzhaigou, located in a fairly isolated spot in northern Sichuan Province, stands apart from all that. I spent two days there, and would gladly pay the ridiculous entrance fee every few months to see how the gorgeous scenery there changes with each season. 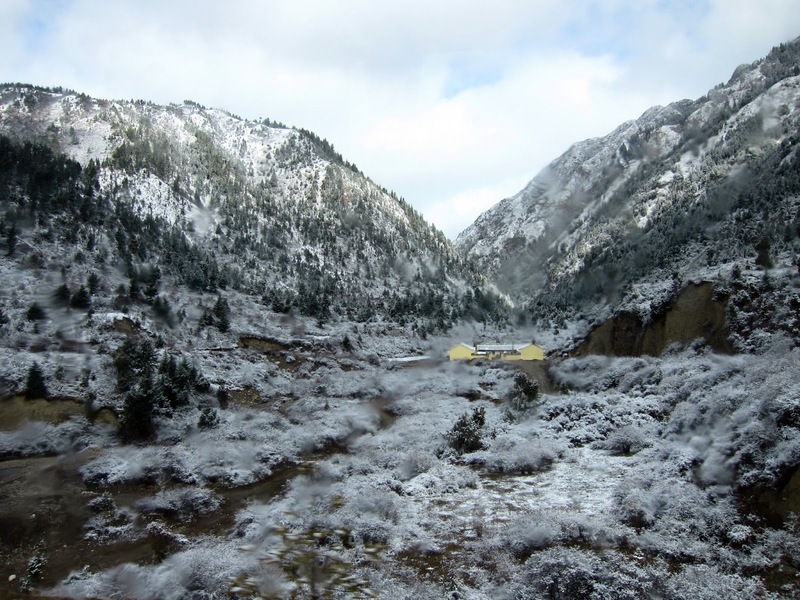 Jiuzhaigou (simplified: 九寨沟, traditional: 九寨溝) means "Nine Villages Gully" or "Nine Villages Valley," named after the minority villagers that used to live off the land here before it was turned into a national park. The accessible park area consists of three valleys that join together like a capital "Y". It's beautiful year-round, but most popular in the summer and autumn, when the water level is high and the colors at their fullest. 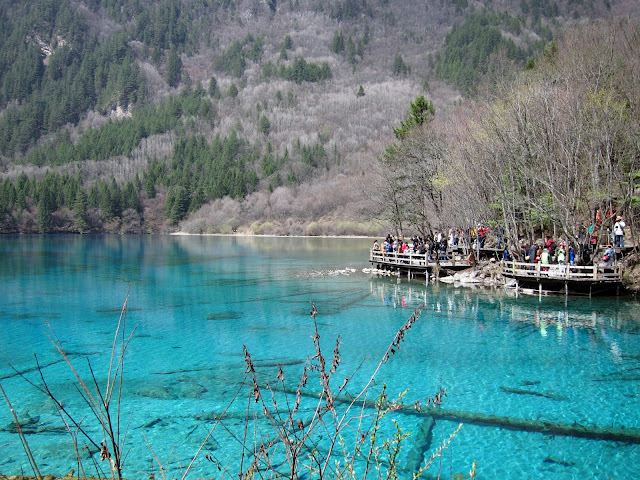 Many of the lakes in Jiuzhaigou are this impossibly turquoise color, the happy result of first being carved by glaciers, then mostly filled by slow-moving water seeping out of the ground that allows the water to be both clear and have a high concentration of calcium carbonate, travertine (limestone) formations, and ages-old natural debris. Besides for marvelous lakes, Jiuzhaigou also has a lot of WATERFALLS! This last waterfall just might be my favorite spot in the whole park. It's an anonymous one within the Shuzheng Lakes, and hardly anyone was there because it was in between stops on the scenic bus. The water confidently surging over moss-covered rocks and into the pure turquoise lake was heaven. Sichuan is gorgeous, the people are friendly, and the food is delicious. I would happily go back and spend more time in that province. Princess Quintana, carrying the child that prophecy predicts will be the one to break Charyn’s 18-year curse of barrenness, is in hiding. Numerous groups are trying to seek her out, whether it’s to kill her or take her unborn child in the power struggle for Charyn’s throne. But no one is looking for her more desperately than Froi, father of Quintana’s child, and whose recent discoveries about his own family history make him more confused than ever about his loyalties toward Lumatere, Charyn, and Quintana. How do you follow up perfection? It’s usually impossible—but this is Melina Marchetta we’re talking about, and she can do anything she wants to when it comes to writing. Still, when she actually managed to write a second book in a trilogy that was so astoundingly amazing, it was going to be a hard one to follow up for sure. While QUINTANA OF CHARYN didn’t do it for me as Froi of the Exiles did, it was still an overall satisfying ending to one of the most emotionally draining and ambitious YA fantasy series in recent publishing history. QUINTANA OF CHARYN made me think for the first time in this series of why I like these characters when most of them can be so horrible, to themselves and to one another. Because in this installment, I think I was removed enough from their situations to be appalled at how they talked to and treated one another. If they were real, they’d be given restraining orders. We’d think they are off their rockers. We’d hiss in their faces about how they should be ashamed of themselves, about how saying you’d be willing to destroy yourself and others out of your love for her is more scary than romantic. Marchetta’s characters often seem like they’re acting out a dangerous dramatization of romance, one that borders on mentally abusive. So how come Marchetta gets away with writing arguably abusive characters that we (hopefully) intelligent readers support fiercely, when we’re the ones who skewer portrayals of abusive characters as love interests in YA fiction? I don’t know. I’ve been turning this over and over in my head ever since I finished reading, and I still haven’t figured out why I’m okay with loving Froi, Quintana, Lucian, Isaboe, and the others, when in any other circumstance I would’ve condemned the sympathetic portrayal of such characters. Is it because I sympathize with their horrifying childhoods and feel that their experiences explain the way they interact with one another? (But the children of abusive upbringings can grow up to be positive role models.) Is it because they are good with no one except the few that they love with all their broken hearts? Possibly. Quite possibly that. Reading what I’ve written, this probably doesn’t qualify as an actual review, more like my musings on my confusion over my feelings for the book. 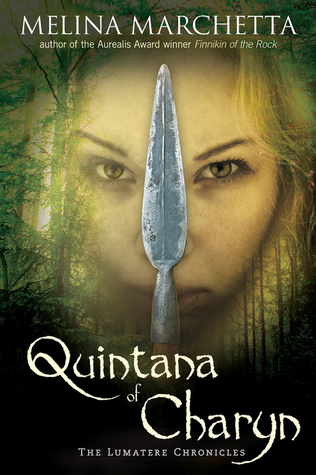 Stylistically and emotionally, QUINTANA was a lot like Froi of the Exiles for me: in the beginning I was frustrated with how unlikable so many of the characters were, and in the last hundred pages I was tearing up at every sentence on the page. While it didn’t have that Punch for me as Froi did, it’s still Melina Marchetta. It’s still the Lumatere Chronicles. It is so worth reading and falling for. Cover discussion: I like the Australian cover a lot more than the US one. This is a pretty, calm, bashful model pretending to have the eerily raw fierceness that Quintana possesses. It's Quintana's strength that makes her alluring, not her outward appearances. And the Australian cover gets that. e-galley received from publisher and NetGalley for review. Reading for Solace or Escape? This weeks' events have been, objectively speaking, horrifying. Boston, the failed Senate vote for gun control, Texas, and now another earthquake in China... and these are just the events that I've heard of. Who knows how many countless other tragedies less public have occurred? For sure, times like these are not meant to be borne alone. The blogging community is just one of the many communities each of us belongs to that can help us bear the weight of knowing how much evil or senseless wrongdoing there is in the world at times. But, being the bookworms that we are, we also know how comforting a good book can be when the world makes you want to cry. Books serve many purposes. They can entertain. They can educate. They can comfort us and make us feel less alone by sharing with us characters who we relate to, who have gotten through the situations that we're currently struggling with with wisdom to share. And they can take us away when our lives, our emotions, our problems are a little too overwhelming for us to deal with for the moment. Yesterday, while I continuously refreshed Reddit to check on the latest updates about the manhunt for the Boston marathon bombers, I kept one hand firmly on the comforting cover of my Kindle, glad to know that, at any time of day, there were always books for me to turn to. And that made me wonder the question that I'd love you to answer as well: In hard times, do you tend to read books for solace or for escape? Me, I think I'm an escape kind of reader. In particular, when the world is going crazy and I need to take a break from it, I devour fantasies like no one's business. The more intricate the world-building--the more characters whose unusual names and social positions I have to remember--the better. (The Song of Ice and Fire books are great for this task.) The time I can take away from the world refreshes and energizes me for when I return to deal with it. It's your turn now, because I'm curious. How do books help you through your tough times? Are they dispensers of advice through relatable characters and their situations, or are they a temporary refuge so that you can recharge? Does it differ according to the scenario? Amaranthe Lokdon is one of the few female enforcers working for her emperor, but when she gets in the middle of a sinister plot that threatens the emperor’s life, she’s forced to drop everything from her old life in order to save herself—and possibly save the emperor. Amaranthe amasses a ragtag team, including Sicarius, a lethal assassin, to execute her crazy plan. But what if she can’t trust even her own team to have her back? To give credit where credit’s due, I kept on returning to this book after every time I decided to put it down because I found problems with the writing. So as far as self-published books go, this is a real nice free find. It has some of the problems that I’ve experienced in other self-published books—notably in pacing, world-building, and plot—but at its heart is a very delightfully strong protagonist and some chuckle-inducing dialogue. Amaranthe is the type of woman that many protagonists think they are but aren’t really. With her enforcer training, she’s more than physically and intellectually competent. She’s also capable of getting herself out of sticky predicaments with creative thinking. Instead of saying all the time that she’s resourceful and smart and badass, she actually IS. Whenever I thought I was done with this because of some writing weaknesses, Amaranthe comes out with something that impresses me. I also haven’t warmed up to the Amaranthe-Sicarius romance yet, primarily because Sicarius himself doesn’t demonstrate even a HINT of romantic gestures throughout the whole novel. Amaranthe, girl, you are really deluded if you’ve spotted anything even remotely resembling him caring for you in this episode of your life. However, I believe that the potential for romance is there, and it can pay off in the end, if that’s something that motivates your reading. 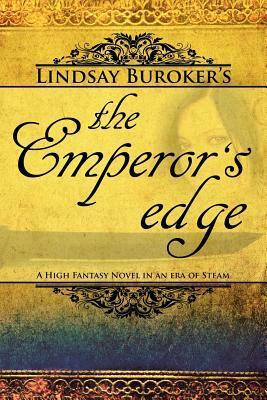 Nevertheless, THE EMPEROR’S EDGE exceeded my expectations for a free self-published novel. It’s got its flaws, but they’re not deal-breakers, not with great characters and an admirable female protagonist leading the charge. I may even consider reading on in the series sometime in the future. Snap up this free e-book and be prepared to be impressed with how much heart it’s got. I got this e-book free on Amazon. 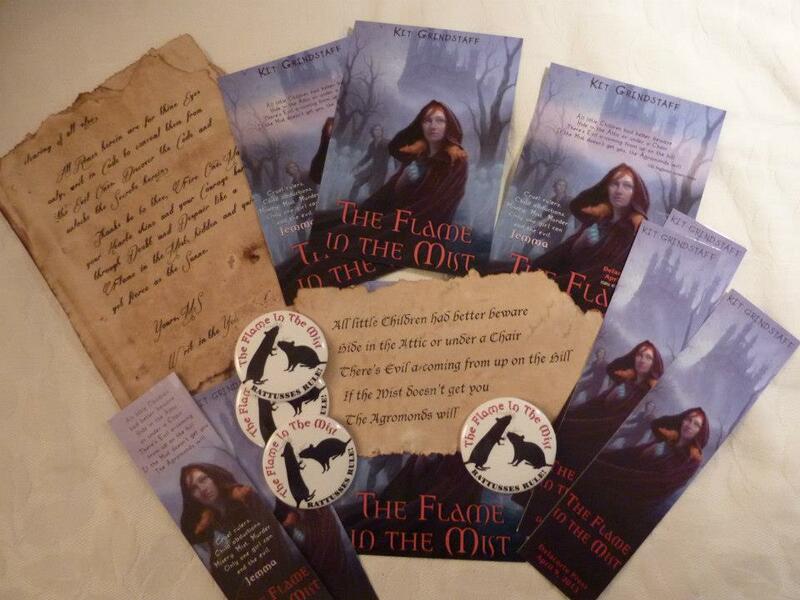 The Flame in the Mist Blog Tour: Interview with Kit Grindstaff! I'm happy to have on my blog today debut author Kit Grindstaff, author of the middle-grade dark fantasy The Flame in the Mist, out on April 9th from Random House/Delacorte! Kit is here to appease my whims and was at the mercy of my interview questions. Welcome, Kit, to Steph Su Reads! 1. Let's create some quick book poetry: describe your book using other books' titles. Great! I love rhymes. Here goes! DIVERGENT plots, and schemes, and more! And they badly want her OUT OF THE WAY! As she unearths each REVELATION? RESCUE the POOR FOLK of her land? Read all about it in THE FLAME IN THE MIST! 2. On your FAQ page you mention that you've had a lot of jobs before becoming an author. Which of them do you think had the biggest influence on your current writing style or material? Not my main career of songwriting, for sure! Though “writing”, the formats are so different, and song content has little to do with dark, middle grade fiction! Far mor influential was a job I had before getting into the music business, when I was an assistant teacher in a primary school in England. It brought me into contact with children’s books after many years (since being a child! ), and I totally fell in love with Maurice Sendak’s work with its dark, anarchic edge. Also during that time I wrote a rhyming book which my sister illustrated (never published; it had serious flaws!). Knowing this, one of the teachers asked me to work with some of the kids in her class and write down fairy tales which they’d make up. Listening to the dark contents of some of those 5-year-olds’ imaginations—full of devouring witches and threatening forests—something clicked in me about children’s minds and archetypes in story telling. 3. 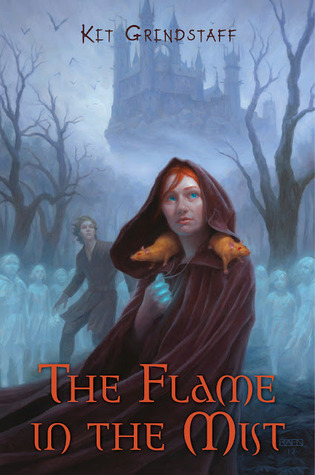 Tell us 3 things about THE FLAME IN THE MIST that aren't mentioned in the synopsis. i) During her escape through Agromond Forest, Jemma is pursued by evil Inquisitors—bounty-hunters who enforce the Agromonds’ law. iii) The head Inquisitor is connected to someone who will become very important to Jemma, and provide a major opportunity for developing her healing skills. - book? The Turn of the Screw by Henry James. Two ghosts….possessed children…Creeeeepy! - movie? The Innocents, a 1961 movie based on The Turn of the Screw. It’s in black and white, perfect for spook factor! Close second is the more recent The Others, with Nicole Kidman. The end totally took me by surprise. - TV show? 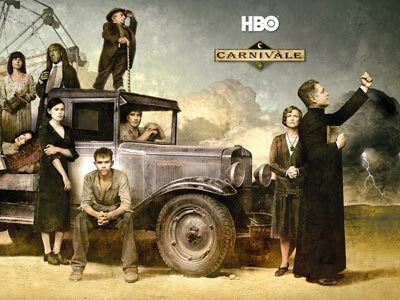 A fabulously atmospheric and creepy 2003/2005 series called Carnival. Set in depression-era U.S., it pits fugitive farm boy Ben Hawkins, who has powers some would call demonic, against Brother Justin, a rabid evangelical. The setting of a traveling carnival, with its colorful ‘freak show’ cast, is the perfect background against which their sinister heaven vs hell battle is played out. And there’s a great twist on the good/evil dichotomy. - event? The Halloween parade in New York City! I only went once, about 10 years ago. It was pretty wild. Favorite costume? A man in vampire garb holding an upturned human skull (presumably plastic) from which he was eating spaghetti with tomato sauce that looked just like…Well, you can imagine what it looked like. Eeew! 5. Which fictional character(s) would Jemma be friends with if they met? 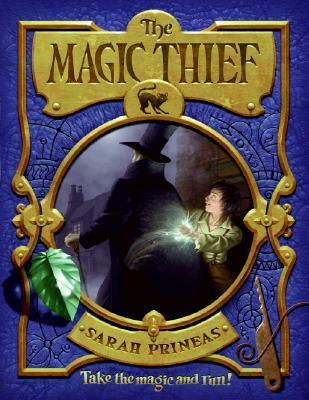 Jemma would love Conn from Sarah Prineas’s Magic Thief series. They’re similarly spunky, and he has an irreverence that she’d relate to. Also, Septimus Heap of Angie Sage’s series; the circumstances of their births and early years would give them a connection, and plenty to talk about, as well as teaching each other magical techniques. Septimus may be confused by Jemma’s name being so like Jenna’s from his own books, though. As a girl pal, I think Jemma would hit it off with Ginny Weasley. Not Hermione—she, Harry and Ron are too much of a unit. Jemma needs her own friend. Hogwarts might remind her too much of Agromond Castle for comfort, though. 6. Something I've been intrigued by recently is what makes certain book titles especially alluring to readers. Yours is definitely one of those special titles. How did you come up with it? What are some of your favorite book titles? What do you think makes a good book title? Thanks, Steph Su! So glad you think of my title as special—words any author would love to hear. Actually, coming up with it was a group effort. My editor, Michelle Poploff, and I had discussed that my working title wasn’t zingy enough for kids. She suggested including the words “Mist” and “flame” (or “fire”), as they’re recurring symbols in the book. Brain-tied by my familiarity with my old title, I sent out an email to a few friends who’d read the book, telling them Michelle’s suggestion and asking for ideas. Brainstorming with my husband, he said, “How about The Flame in the Mist?” Too obvious, I thought. Not long after, I got an email from my nephew in England, responding to my SOS. His suggestion? The Flame in the Mist. Er….weird. Two people coming up with the same title…? But I still wasn’t convinced. Later that day, though, it hit me: their suggestion wasn’t just right; it was perfect! Now, it feels like it’s always been the book’s title, and it couldn’t be anything else. Then there are the catch phrases, the ones which take an extract from the book and place it out of context, like To Kill a Mockingbird and Of Mice and Men, both of which are enticing. Another I’ve been dying to read simply from its title is Cat Winters’s In the Shadow of Blackbirds, whose eeriness is borne out by its synopsis. I totally want to know about that shadow, and what being in it will do, or has done. And as obvious as I thought it was, I like to imagine now that if I saw my own title on a book I hadn’t written, I might just be intrigued enough to pick it up! 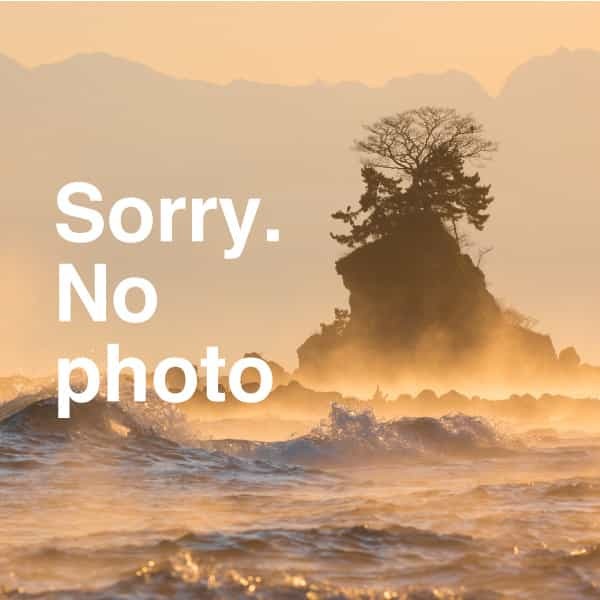 Thanks so much for hosting me, Steph Su. It’s been fun! I love this week's TTT topic. Some days I even miss my reading habits back before I blogged, when I'd just step into a library or bookstore, pick up the titles that caught my eye, and give them a try. 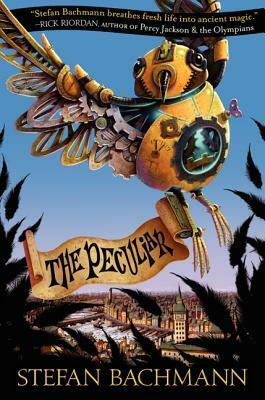 The following books run the gamut from children's classics to overlooked gems. I devoured books like I did food in my early years: consistently, but with little discrepancy between one type or another, and little interest in discerning the differences. That all changed when I found Ella Enchanted in fifth grade. Suddenly, reading could be magical. Characters could be role models I aspired towards. 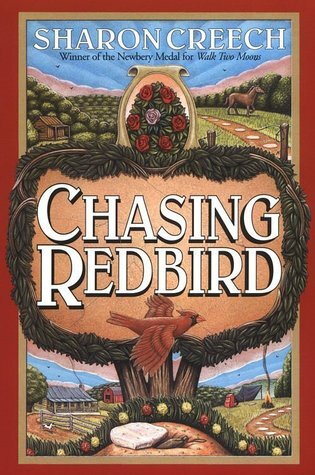 Sixth Grade Honors English introduced me to Sharon Creech, and while I love all of her books, Chasing Redbird holds a special place in my heart. Every time I finished rereading this, I, too, wanted to discover an old abandoned trail behind my house that led me through off-the-grid mountains and familiy secrets. And, of course, I wanted a gorgeous boy to notice me as well. Homeless Bird was a random find I came across at my school's annual book fair. It was the first time I can distinctly remember reading about a girl who comes from a different culture and land than me, and yet made such a lasting impression on me. Another random school book fair find, this book both terrified and enthralled me. Hesser wrote about Tara's struggle with OCD with such painful conviction that my eighth-grade self was convinced this was a memoir. 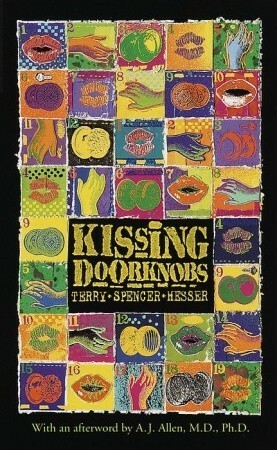 I think this was pretty much the only book I read over and over again for several months that year. Here, finally, be a book on my list that many people have probably read! This random library pick of mine was probably way out of my league of comprehension in middle school, but was undoubtedly what led me to what is now my favorite genre: fantasy. This book will never budge from its place on the top of my McKinley favorites, because of its significance to me and my reading habits. The Princess Diaries were charming, but All-American Girl was my religion. 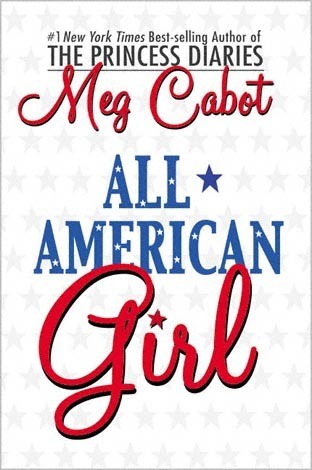 There were lots I loved about it, from Samantha's pitch-perfect voice to the romance, but what I remember most is being in awe of Samantha for being able to pull off wearing combat boots with white-out daisies drawn on them. 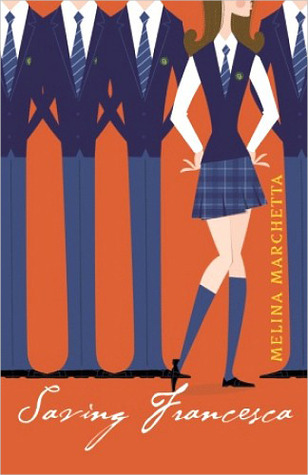 Her later books may have been more skillfully written, but Saving Francesca will always be my beloved for introducing me to Melina Marchetta (and Will Trombal, ugh my heart). I was Francesca and yet I wasn't, because she and her friends were effortlessly cooler and more enviable than I could claim to be at that age. 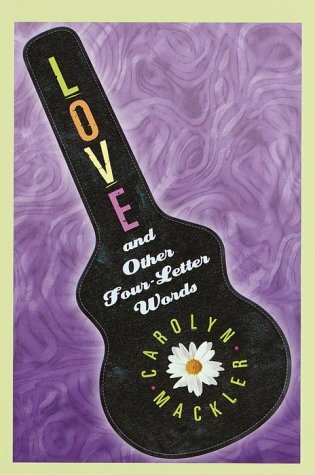 Carolyn Mackler may have gone on to write better books, but her debut will forever hold a space on my shelf. I wore out my library's copy of this with the number of times I borrowed it. 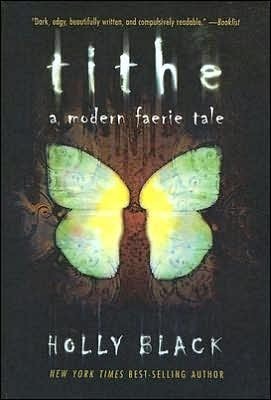 There have been countless of contemporary YA books about moving and first love published since then, but this one was what started it all for me. Ah, I miss those days when I could walk into a bookstore and randomly pick up a book that looked and sounded good and have it later become one of my favorite books of my high school years. 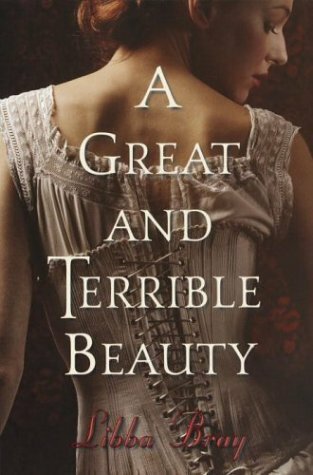 Libba Bray and Gemma Doyle did historical, paranormal, and darkly romantic waaaaay before anyone else did, which is why little has lived up to this book since for me. 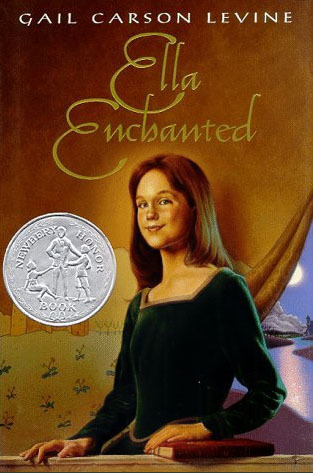 I'm intrigued by how so many of my childhood favorite books seemed to be award winners (just look at the disproportionate number of medals gracing the covers above). Nowadays, award winners seem to be a hit-or-miss with me. Have you, like me, ever wondered whether or not you would've loved a book as much as you did had you not read it exactly at the right point in your life? This powerful and inspiring new book shows how one person can make a difference, as Kidder tells the true story of a gifted man who is in love with the world and has set out to do all he can to cure it. You’re not supposed to love this book. To do so would be to fall to the seduction of blind idolatry, and Farmer, the book’s subject, even points out that this is not his goal: the goal isn’t to convince more people to BE like Farmer, but rather to think like him, to believe in what he believes. As a fiction reader/writer who only sporadically dabbles in nonfiction, I find it hard to consolidate the opinions of the two types of readers in me: the one who reads to learn the craft of writing, and the one who wants to be moved by new, eye-opening reading experiences. Focusing on the individual is doable, and essential, and I can do it, and you can do it, and everyone can do it, and this dream that the world can be an inexplicably better place, however opaque the path there is. The ride here at Steph Su Reads is about to get a little rocky, because this little blogger has been furiously researching plane flights, hostels, and attractions in preparation for lots and lots and lots of traveling. How exciting! In May 2013, I return to home sweet home in New Jersey in the States for three weeks! My main activities will most likely include reading a ton of books and watching the third season of Veronica Mars on my family's TV (and biting my nails in hopes that it's not as bad as most seem to concede it is). I intend to visit the usual suspects in the area, so hit me up when I am back! In the last week of May, my travels will hit a crazy high as I visit four countries in one week. I fly from the States to Taiwan in time to attend my cousin's wedding. Then, I go to Singapore for a few days, because I was invited to be a keynote speaker and panelist at the Asian Festival of Children's Content! Yes, it is as crazy-intimidating as it sounds! I am making a speech about "Getting the Most Out of Blogging" and participating in a panel called "Blogging--Today and Tomorrow". Anyone got any suggestions for things I must talk about? Yep, don't need to know any more. Sign me up. My trip with the family to Japan brings us into June, during which I have plans to go back to China and do some backpacking around (provided the latest outbreak of the avian flu doesn't get worse). Where shall I go? Far out west into Uyghur culture and deserts and yurts in Xinjiang Province? South to beautiful Yunnan and Guanxi Provinces, with the kinds of landscapes that have been associated with China for thousands of years? EVERYWHERE??? And after that, Steph? Where will you go then? So this post serves as a preemptive apology for any sporadic absences of mine from this blog. I will do my best to update you all with my doings, slowly but surely. Thanks! G emails E by accident and the two strike up a never-ending interaction that both feel is one-of-a-kind. There are only several problems that the two of them can’t work out. First, G is Graham Larkin, the hottest new Hollywood star with a bevy of teenaged female fans all around the world and an almost equally large crowd of paparazzi following him everywhere. And E is Ellie O’Neill, a dreamer-poet living in Middle-of-Nowhere, Maine, who has her own reasons for wanting to avoid the spotlight. I was head over heels for the first 25% of the book, and then meh for the rest of it. 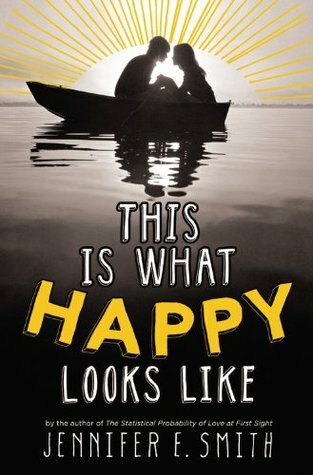 Oh, there’s nothing wrong with THIS IS WHAT HAPPY LOOKS LIKE at all, but immediately after the two main characters finally met up, the romantic anticipation fizzled and there was a sense of “what next?” floating among readers and the narrative. Don’t get me wrong: Graham and Ellie are adorable, separately and together. They are the kind of people you want dating your best friends: they’re nice and well-read and like sunsets and cute animals and hand-holding. Yes, things in this book’s world are a bit tame, especially Graham’s oh-so-cutesy humor, but hey, I’m not going to hold that against the book: it’s rare that we find a YA romance where at least one party is not either TSTL or a jerk. For the most part, THIS IS WHAT HAPPY LOOKS LIKE is a dream come true for readers who, like me, wished their whole lives for a squee-worthy romance between a nice movie star and a nice ordinary girl. But then, as in most Jennifer Smith novels, there’s the extra dimension of family problems. Again, there’s nothing inherently wrong with including family issues into a contemporary romance, but it just wasn’t what I wanted to read about when I picked this book up. I wanted the never-gets-old sparkly tension of falling in love with someone new, of gradually getting to know them through cheeky emails, of the first time seeing them and thinking to yourself, “Oh. I have been waiting for this my whole life.” Only all of that happened in the first quarter of the book, and then the rest of it didn’t seem to add much more to Graham and Ellie’s relationship. It just didn’t do it for me. Nevertheless, I would still recommend THIS IS WHAT HAPPY LOOKS LIKE to readers looking for a light romance. The characters and the picture-perfect setting of small-town Maine make this the YA romance that a lot of readers are looking for. Cover discussion: I really like how Jennifer Smith's last two contemporary romances have gotten these related but still distinctive covers. They stand out from the stock-photo covers of other YA contemporary romances for their originality.